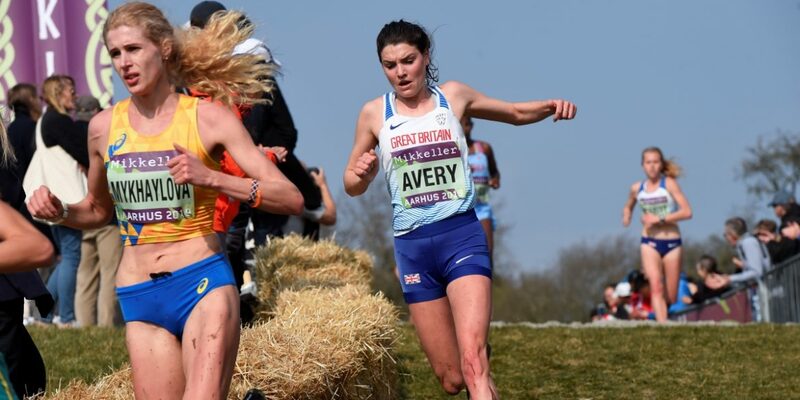 On a fantastic day for cross country running in Aarhus, Denmark, the senior women’s team impressed as they placed fourth overall after a stunning set of performances by the British squad, while two juniors placed in the top 25 of their respective races. The senior women showed great spirit on the 10km course, forming a superb team effort to place fourth overall behind Ethiopia, Kenya and Uganda. They were led home by a strong finishing Kate Avery (Shildon) who built into the contest fantastically, running conservatively in the early stages before picking off her opponents over the 10km course. After coming through in 60th after lap one of the 2km course, the Shildon athlete found her stride around the undulating Danish course, moving into the top 40 after the second lap. She overtook the fast-starting Jennifer Nesbitt (Chris Jones; Worcester) on lap three, staying with a small group hoping to break into the top thirty. As she rounded ‘the berm’ at the bottom of the museum roof downhill section, she had to fight for her 30th position, holding on for an encouraging result. Avery commented post-race: “There were certain parts when I thought my legs were going to give way, but when it came to the hills, in my head I kept saying ‘jog, jog, jog’ and it seemed to work because others weren’t. I’m really happy to be the first Brit home, I had the top 30 in my head when I saw the course, so I’m really pleased I did that well. 52nd, 41st, 37th, 35th and 32nd were the positions Mhairi McLennan (Helen Clitheroe; Edinburgh Uni Hare & Hounds) held after each lap in the contest, the final placing a staggering achievement for the Scottish athlete. It was the great show of strength, moving through the field expertly and working hard on the hills. 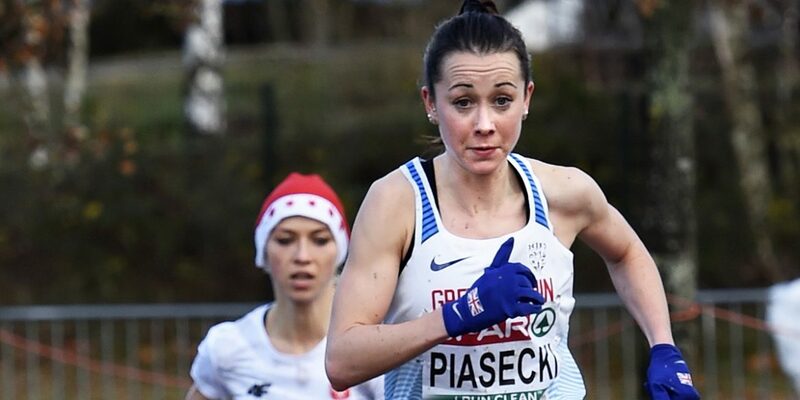 She moved passed Nesbitt in the final stages, and it was also a great World Cross debut for the latter, leading the Brits for long periods of the race, before placing as the third counter – 34th overall – in the best European outfit on the day. Team captain Jess Piasecki (Robert Hawkins; Stockport) was not too far behind, finishing strongly for 36th to confirm four Britons inside the top 40 on the world stage. Piasecki added: “There are no other words to describe that course other than a monster. On the first lap I thought ‘I feel OK here’ even though I told myself not to go too hard. I let some people go through, but you can’t rehearse for a challenge like that. Emily Hosker-Thornhill (Mick Woods; Aldershot, Farnham & District) crossed the line in 48th, while Amelia Quirk (Mick Woods; Bracknell AC), at just 19 years-old and making her senior British debut, came home in 79th place, battling hard for the team. As for the senior men, Patrick Dever (Andy Bibby; Preston) was the standout performer as he came through the field majestically to seal 37th place, contributing to the ninth-place finish of the team overall. Following the Loughborough-based athlete was Mahamed Mahamed (Peter Haynes; Southampton AC) who negotiated the course very well, pacing it perfectly as he moved into 44th place at the end, having come through the first few laps outside the top 70. Making his first World Cross appearance for 12 years, Adam Hickey (Eamonn Martin; Southend) was next home in 51st while Oliver Fox (Richard Llewellyn Eaton; Wells City) was 58th, not too far behind the Essex athlete. Ross Millington (Jon Brown; Stockport) and Luke Traynor (Robert Hawkins; Giffnock North) placed 64th and 107th respectively. Joshua Cheptegei (UGA) won the race, making up for his dramatic finish in Kampala two years previously, when he missed out on a medal in the closing stages. Trials winner Grace Brock (Cornwall) continued her excellent cross-country season by finishing as the first British finisher in 25th place in the junior women’s contest. She built into the race fantastically, moving from 59th on the first lap, into the top 30 after the second lap, and kept on moving up the field. Placing as the second European behind Italy’s Nadia Battocletti, it was a step-up by Brock who placed 11th at the European Cross country just four months ago. An ecstatic Brock spoke afterwards: “It was amazing – and the European champion only overtook me on the last bit. To make that jump from 11th at Europeans and to be second European here is more than I could have asked for. It was an amazing atmosphere all around the course and that really spurred me on in the closing stages. 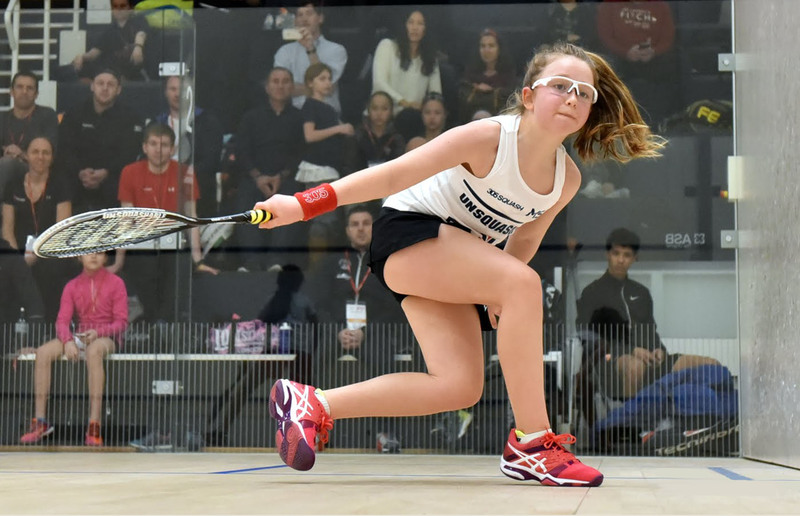 Another debutant, Amelia Samuels (John Abbiss; Wolverhampton & Bilston), enjoyed her maiden appearance for Great Britain & Northern Ireland, crossing the line in 35th and the second Brit. Samuels was 57th after the first lap but continued to pick her rivals off, helping the team on their way to seventh position overall. Becky Briggs (Derek Ricketts; City of Hull) and Charlotte Alexander (Wayne Vinton; Herne Hill) placed 44th and 49th, while Eloise Walker (John Lees; Edinburgh AC) battled well to 51st position. Olivia Mason (Graeme Mason; Border Harriers) admitted she paid the price for a fast start but ran a solid race to place 57th overall. 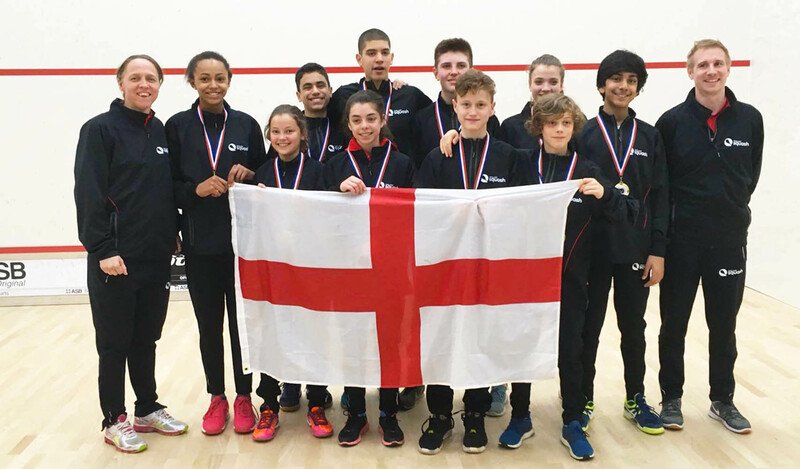 The British team finished seventh overall, the top Europeans in the field. Ethiopia took the team title overall with Kenya’s Beatrice Chebet winning the race individually. There was an eighth-place finish for the British junior men’s team, with Matt Willis (self-coached; Wrexham) matching the 25th position of his compatriot in the women’s race, similarly the second European finisher behind the prolific Jakob Ingebrigtsen. It was an excellent result for the Welshman who was the top Briton at the European Cross-Country Championships in Tilburg last year. He certainly played the course to his strengths, battling hard in the downhill sections when his opponents were reeling from the hill climb. It was a demonstration of strength from the youngster, moving from 34thon lap one to the top 25 after 7km. Willis spoke afterward: “I’m really happy; I wasn’t expecting to run that well at all. I’m just over the moon to finish in 25th. After admitting he didn’t “show his best” at the European last December, Rory Leonard (Morpeth) made amends in Aarhus, fighting his way through the field to claim 37th place and in doing so, was the second counter for the GB & NI team. Euan Brennan (Andrew Henderson; Ilkley) used his mountain running pedigree to good effect, crossing the line in 50th, and was one of several athletes to speak about the sheer speed of the race. Debutants Josh Cowperthwaite (Martin Peevor; Middlesbrough Mandale) and Zakariya Mahamed (Peter Haynes; Southampton AC) were 62nd and 66threspectively, while Ben West (Kyle Bennett; MK Distance Project) unfortunately did not finish. The race was won overall by Milkasa Mengesha (ETH) with Ethiopia taking the team gold, with GB & NI in eighth overall. Liam Ansell returns from injury for Great Britain’s men’s team’s trip to Argentina in their next match in the global FIH Pro League. Ansell, 25, has been ruled out since the Hockey Men’s World Cup late last year, when he scored two goals as England finished fourth. Also included in an FIHPL squad for the first time is Reading’s Peter Scott, who would be in line to make his Great Britain debut if selected to face the Olympic champions. Scott is the sixth GB Elite Development programme to be included in an FIHPL squad this year. Mikey Hoare is also set to play in the FIHPL for the first time, while David Condon is back after missing the last games against New Zealand and Australia. Liam Sanford will miss the trip after recent knee surgery. Great Britain are looking for a first win over Argentina since a test series in 2015, while the reigning Olympic champions will be looking for revenge over the English players who inflicted a world cup quarter final defeat on them just a few short months ago. Great Britain will be led by Assistant Head Coach Russell Garcia for this fixture. Following an intense 12 months, with two World Cups in five months and a transition to the men’s programme, Danny Kerry will not be travelling and will be taking some time back in the UK to plan and energise, ensuring that building blocks are in place for the programme to excel leading into the remainder of the FIH Pro League, then the EuroHockey Championships and possible Olympic Qualifiers later in 2019. Great Britain’s men currently have six points from three games in the FIHPL, while Argentina have seven points from their five matches. Argentina are currently Olympic champions but lost to league leaders Australia in their last match, although they were without drag flick specialist Gonzalo Peillat. 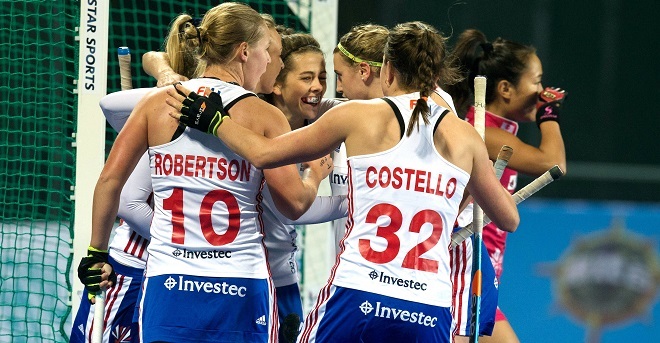 GB take on Argentina on Saturday 6 April at 7:30pm UK time, live on BT Sport. Great Britain’s home games in the FIH Pro League begin at the end of April, with both our men’s and women’s teams taking on the best sides in the world. Tickets start at just £5 for Under 18s and £15 for adults, supporters can click here to buy. In this week’s edition of our newsletter you’ll find: Manchester Mystics vs Sheffield Hatters, Manchester Mystics vs Essex Rebels, On The Website, New School Hub at Cheadle Hulme,TruSleeve Exclusive Offer, Shop Online?, Community Sessions, Walking Basketball and National League Fixtures. We hope you enjoy it. 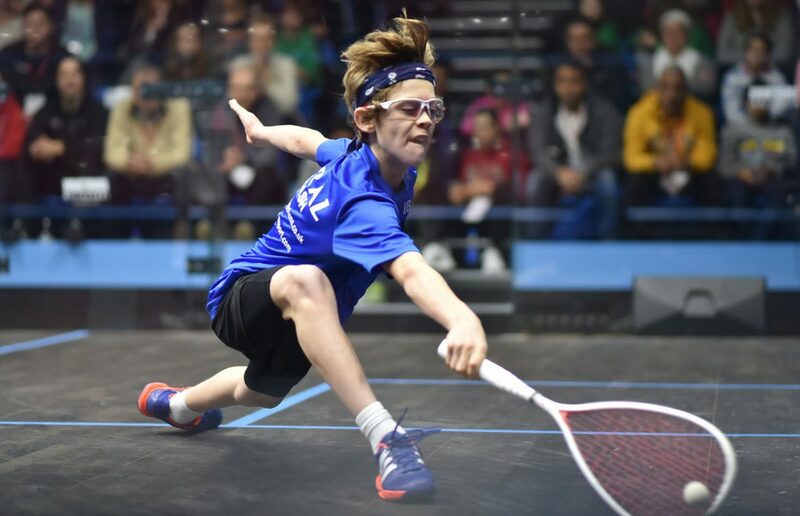 “All three boys are an extremely high standard for their age group and could realistically challenge anyone else in the world. Both girls are tough to beat and as strong as each other which means there’s no drop off in standard between our top two girls. he British Olympic Association (BOA) today announced the sport Team Leaders for the Tokyo 2020 Olympic Games. The group met in London this week to participate in Tokyo 2020 Games planning workshops to further refine and implement the detailed operational plans for Team GB’s participation at the Games, which are just over 500 days away. 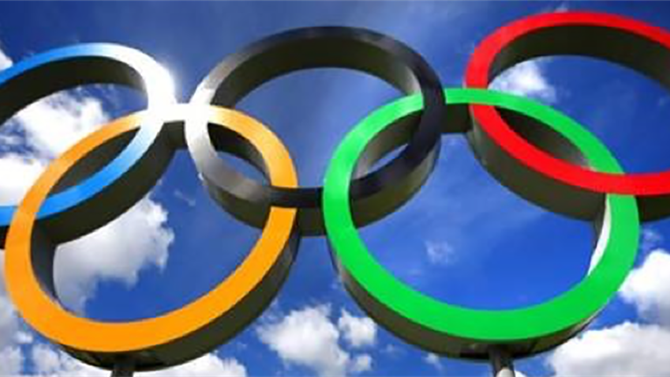 Latest information was shared on areas including accreditation, Preparation Camp, Olympic Village, security and media services that will be provided in the Games environment. Along with Team Leader meetings and recces the Games planning workshops forms part of the Team Leader syllabus being delivered by the BOA before Tokyo 2020. Last year the group travelled to Tokyo with key members of the Team GB leadership team. While in Tokyo they met representatives from the Tokyo Organising Committee to receive a full update on Games planning and readiness. The group also visited the sites of the sport venues and Olympic and Team GB Preparation Camp sites. A small delegation, led by Deputy Chef de Mission Mike Hay, are scheduled to travel to Tokyo in April before a secondary Games Planning meeting takes place in May this year. So far Team GB has secured 22 quota places for Tokyo 2020 across three sports – equestrian, sailing and shooting. 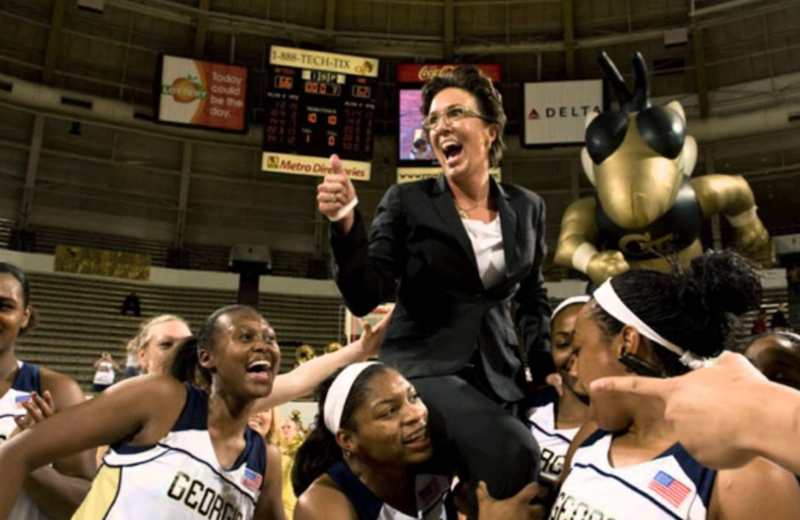 Approximately 3 weeks ago the story dropped that Coach Machelle Joseph was put on leave by Georgia Tech Athletics. At that time, no one from the athletic department shared why, how or when the investigation into the program would likely conclude. Since then, there have been articles circling over the topic with speculation as the backbone of the story. There has also been no shortage of photos published of Coach Joseph looking like an angry, aggressive monster to accompany these articles. I’ve received countless messages asking what is really going on at Georgia Tech and the answer to that has zero to do with whether or not the athletic administration has leaked new information to the media or if there have been any true developments. History has shown us that the truth will be what the institution makes it. Have I ever personally met Coach Joseph? No. Have I ever met any of her staff or her players? No, but I have met this situation head on in my own professional life and counseled countless female coaches in these situations where 95% of them have remained silent and left coaching. Have I ever personally met Coach Joseph? No. Have I ever met any of her staff or her players? No, but I have met this situation head on in my own professional life and spoken to countless female coaches in these situations where 95% of them have remained silent and left coaching. Saracens Women pulled off another last-minute win as they beat Loughborough Lightning 31 – 28 at Loughborough University on Saturday 23 March. In doing so, Saracens Women secured top spot in the Tyrrells Premier 15s as they maintained a seven point lead over Harlequins Ladies and booked a home semi-final for the play-offs next month. This was the first match in the TP15s for both teams since before the Women’s Six Nations and they both welcomed back a number of England’s Grand Slam winners. Despite being a player down Saracens Women started the second half well and it was No.8 Poppy Cleall who crashed over in the corner to put the away team further ahead at 24 – 7. Loughborough however started to take control as they capitalised on mistakes by the visitors and two tries in eight minutes by Olivia Jones and Dalaeka Melin brought the score back to 24 – 21 with fifteen minutes to go. The home continued to maintain pressure and after four minutes camped inside the Saracens Women’s 22 Sarah Bonar went over next to the posts and Loughborough had a 28 – 24 lead with three minutes to go. 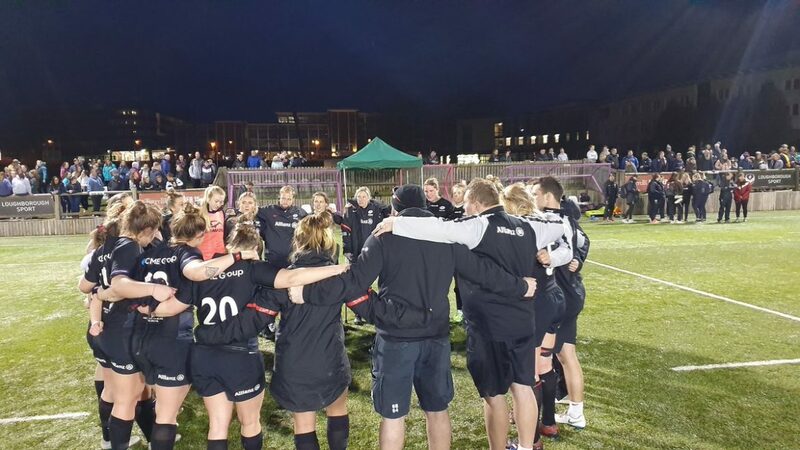 A smart kick-off from Zoe Harrison gave Saracens Women the chance to challenge for possession and Loughborough were forced to concede a penalty. Saracens Women kicked to touch and after a series of pick and goes from the forwards, it was prop Hannah Botterman who got over the line to give them the win.